KAMPALA – Parliament has instructed government to stop the eviction of more than 300 families from Rwebisagazi in Kigolobya Sub-county in Hoima District and immediately provide food to the affected people as legislators probe into the matter. 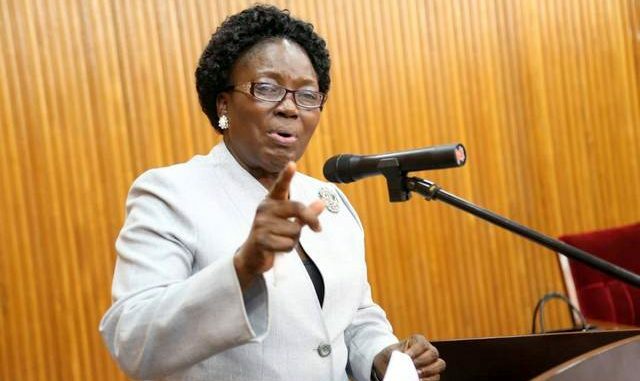 Speaker of Parliament Rebecca Kadaga had earlier asked the Prime Minister to carry out an investigation into the matter but members were not satisfied forcing Kadaga to order the committee of Human Rights to go to the ground immediately. The Speaker ruled that government should immediately handle issues of relief and security because the community is not in position to handle security. This was, in the week, after Ora County MP Lawrence Songa asked the House to quickly intervene into the matter of the said families who were evicted from their land last week by security forces labeling them rebels. However, Bunyoro Affairs minister Ernest Kizza defended the eviction confirming that these people were indeed rebels following a search that government had conducted. Buhaguzi County MP Daniel Muhirwe refuted the claims by the minister saying that this has culminated into a tribal war and that the people from West Nile had acquired land there legally. Obongi County MP Kaps Fungaroo added that the eviction should not go on until Parliament completes investigations. Those taking refuge in the bush should be treated including those injured as well. Kilak South MP Gilbert Olanyo appealed to the Speaker to direct the Security minister to stop infringing on the rights of the people, adding that there is a lot of impunity. In response to the legislators, the minister for Veteran Affairs Bright Rwamirama explained that this is a serious security matter and it should be left to security to handle. “Uganda is surrounded by many conflict areas. Refugees are in camps and not in the villages,” Rwamirama added. He also accused the local politicians for politicizing the matter and yet security was handling it. In an attempt to calm the situation, Kira Municipality MP, Ibrahim Ssemujju Nganda noted that it is dangerous for Parliament to shift the role to another entity instead it should direct government to go and sort out the matter. He said that this is a matter of urgency and should be handled by government. He proposed that since government feels it is a security concern, they should stop the forceful eviction and first carry out an investigation and report to Parliament as opposed to harassing people.